All Disney cruise ships will be based at Florida ports in early 2015. Dream, Fantasy, and Magic will all be based out of Port Canaveral, and Wonder will sail out of Miami. DCL itineraries for early 2015 include both Bahamian and Caribbean cruises, with the options to enjoy three-, four-, and seven-night sailings from Port Canaveral and four- and five-night trips from Miami. 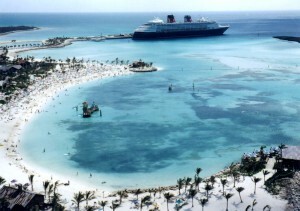 Each itinerary will include a stop at Castaway Cay, the Disney’s private island for DCL guests. It will be the second year in a row that Disney Cruise Line will have its entire fleet spend most of the season sailing Caribbean and Bahamian cruises from Florida. Disney Dream will have three- and four-night voyages available to the Bahamas: Nassau and Castaway Cay. Disney Fantasy, the Dream’s sister ship, will offer seven-night trips to the Caribbean: Grand Cayman, Cayman Islands; Costa Maya, Mexico; Cozumel, Mexico; and Castaway Cay. Disney Magic will also have seven-night trips to the Caribbean available. The Disney Wonder, sister ship to the Magic, will have four- and five-night cruises. Its itinerary for the four-night cruise will be to Castaway Cay; Nassau, Bahamas; the Florida Keys. The five-night itinerary includes Grand Cayman, Cayman Islands and Cozumel, Mexico or Cozumel, Mexico and Castaway Cay. Disney says fares for three- and four-night cruises out of Port Canaveral in early 2015 will start at $450 and $600 per person, respectively. Fares for seven-night cruises will start at $980. As with any DCL sailing, guests should book as early as possible for the lowest prices. Disney Cruise Line already accepts bookings for early 2015.